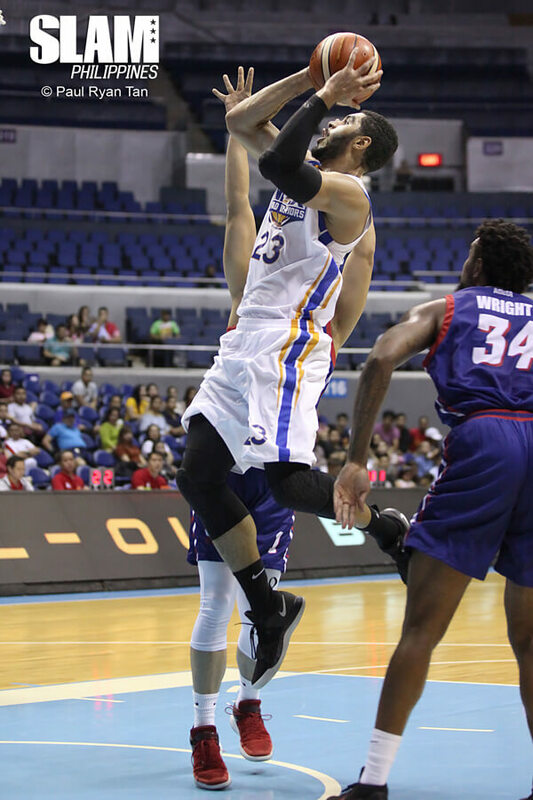 Aaron Fuller returned to power the NLEX Road Warriors back to the winning track. He led his team to a bounce back win over the Columbian Dyip. Fuller finished with a monster double-double of 35 points, 21 rebounds and seven assists. Larry Fonacier added 17 points while JR Quinahan had 10. The winless Dyip played with more energy in the game today. They leaned on Akeem Wright and Jerramy King. Even with Fuller powering his way in the paint, Columbian was able to keep in step with NLEX for the first three quarter. A Russell Escoto floater to open the fourth quarter cut the Road Warriors lead down to just two points. That’s when Fuller decided to stop messing around and put the game away. Fuller sparked an 11-0 NLEX blitz with an and-one basket in the paint. After Alex Mallari added a layup, he followed up with a score in the paint to extend the Road Warriors lead. Mallari hit a step back jumper and Fuller closed the run with two freebies to give NLEX a 13-point lead. That blast took the fight out of Columbian. They could only get to as close as eight points as the Road Warriors held on to the lead until the end. 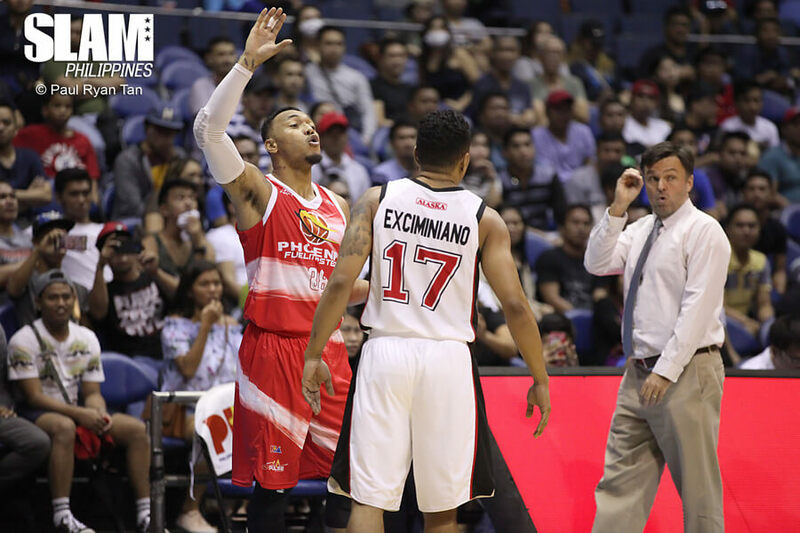 In the first meeting between the Alaska Aces and Calvin Abueva, the Aces made sure to send a statement to their former superstar. They took down the Phoenix Fuel Masters with a balanced, total team effort. Mike Harris led the Aces with 23 points and 11 rebounds. He got a ton of help from the locals as three players scored at least 15 points. Simon Enciso stayed hot from beyond the arc with 18 points on six treys. Chris Banchero had 19 points and nine dimes while Noy Baclao played his best game as an Ace with 15 points. The Fuel Masters were in control early in the game. Behind Eugene Phelps, Matthew Wright and Abueva they were able to build a double-digit lead midway through the second period. Abueva’s jumper with 4:45 left in the first half gave Phoenix an 11 point advantage. But Harris, Enciso and Banchero teamed up to cut that lead down to just five points heading into the break. The Aces continued to chip away at the Phoenix lead in the third period. Baclao came alive in the quarter as found his touch from the mid range. Enciso’s trey in the middle of the third period finally gave Alaska the lead over Phoenix. With momentum on their side, Alaska pulled away with a game-changing run in the fourth period. The Aces teamed up to go on a 10-0 run to go up by double-digits. Banchero’s floater gave Alaska a 12-point lead and the Fuel Masters couldn’t recover from that deficit.